Over the last 10 years Jane and her work has been featured in many Polymer Café magazines and books as well as some of her gorgeous work with polymer clay, One Stroke painting and Bob Ross Oil Paintings have won her awards. 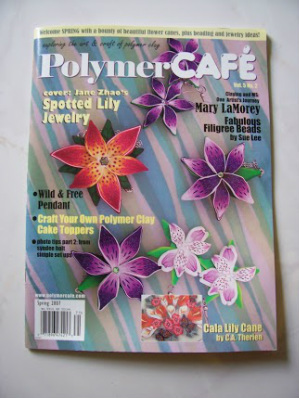 In the Spring of 2007 issue, Polymer CAFÉ Magazine featured Jane's Spotted Lily Cane Flower jewelery seen left, which included a wonderful step-by-step tutorial to show how to create them yourself. This magazine is not the most recent work published from Jane's accomplishments and would not be the only issue from this magazine that her or her work has been featured in, however making the front page of the magazine is something that both she and her fans are truly proud of her for. In the Fall/Winter of 2002 her Chinese Dragons were featured in Polymer Café magazine. In the Summer of 2003 the same magazine featured her Chinese landscape painting on faux Ivory, and In the Summer of 2004 they featured a Chinese treasure box she created. 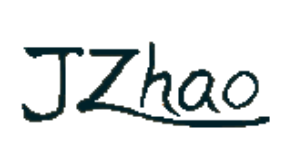 Want to See all the books and magazines Jane's work has been featured in?